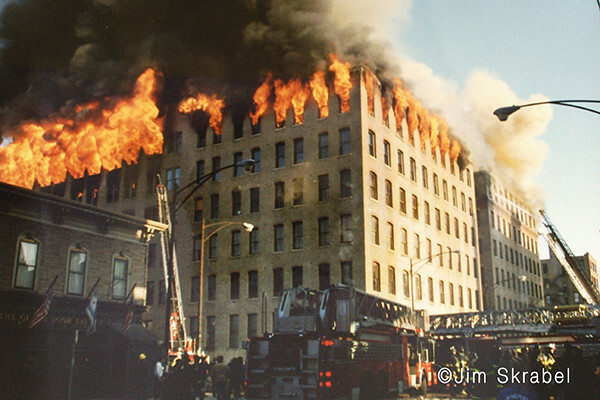 I starting scanning old 35mm photos of fires I have been to over the years and came across these. 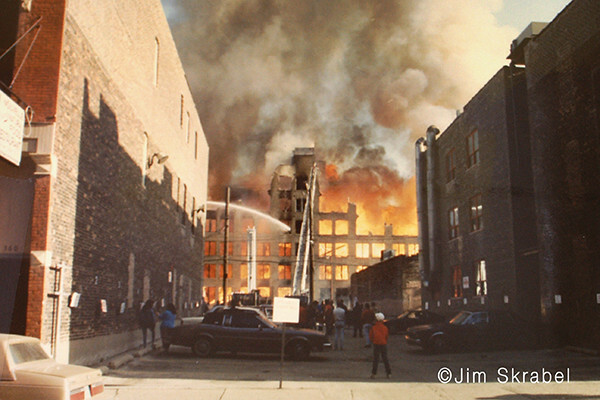 This is the River North Art Gallery Fire at 361 W. Superior St. on April 15, 1989. 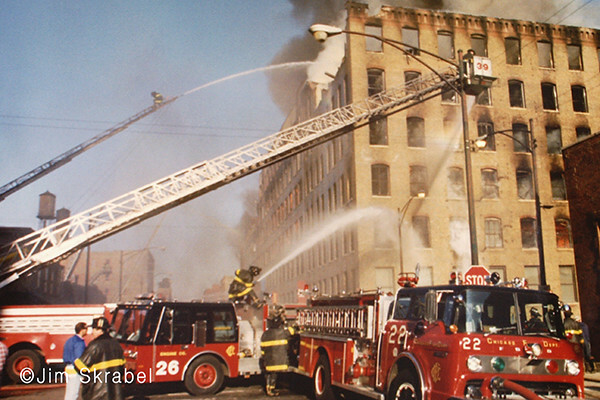 This fire was a 5-11 and either one or two specials. I heard Aerial Tower 3 box it, grabbed my camera and headed for the fire. 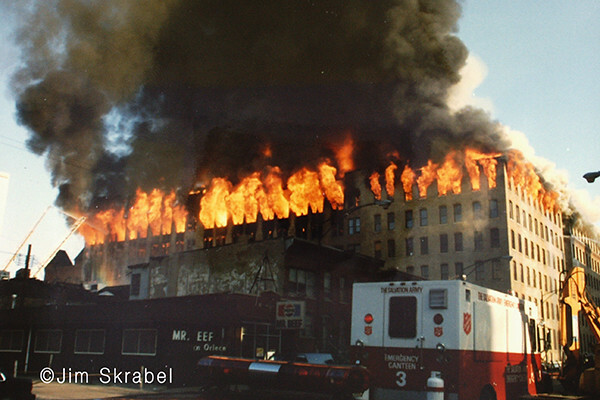 By the time I got downtown the fire was already a 4-11. 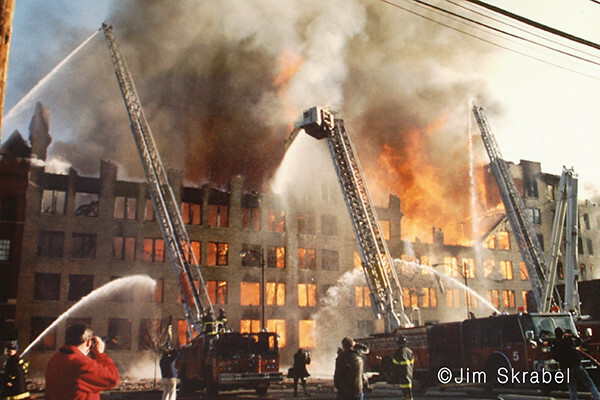 I am interested in using at least one photo from the 1989 River North fire and wish to contact the photographer as soon as possible.